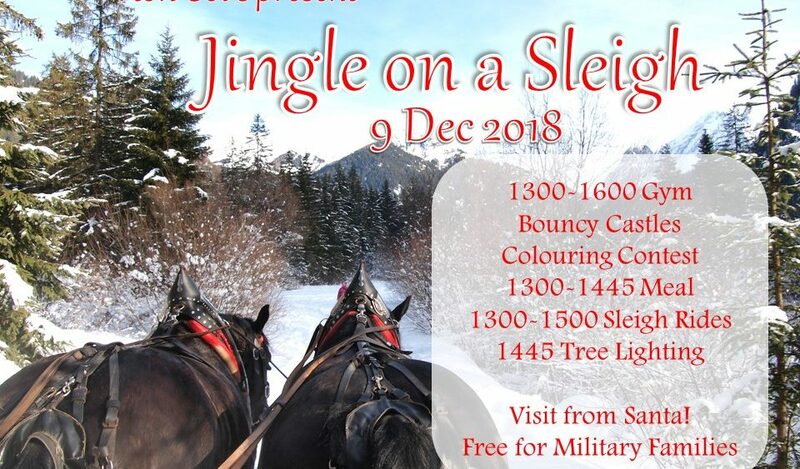 On Sunday December 9th 2018, 22 Wing will be celebrating the holiday season with “Jingle on a Sleigh” for military members and families. 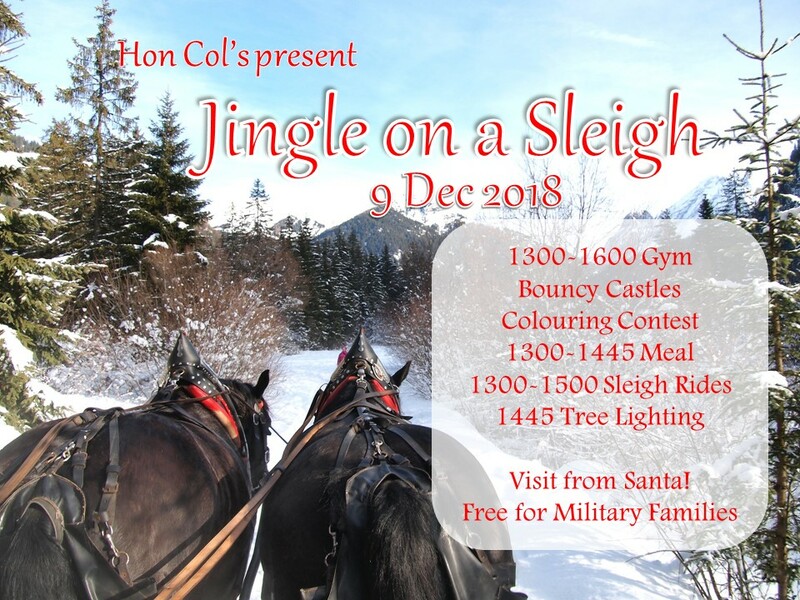 This event has been initiated by the 22 Wing Honorary Colonels and will include; sleigh rides, food, bouncy castles, arts and crafts, outdoor activities and a visit from Santa Claus. The event will take place at the Fitness and Wellness Centre from 1300 hours – 1600 hours. Your Mess, MFRC, Wing Community Council, and CANEX have worked very hard to organize this event for all members of 22 Wing and their families. Each child 18 years of age or younger is eligible to receive a FREE gift from Santa. The gift must be purchased and wrapped by the parent or guardian at a value of $20.00 or below (before taxes) and the cost will be reimbursed upon drop-off of the gift at the MFRC, which must take place between the hours of 0900 and 1500 Dec 5-7th. Please ensure the gift is wrapped with a label specifying the first and last name of the child for whom it is intended. You must submit your receipt to the MFRC in order to receive reimbursement. If you plan on attending this event, please have the serving member in your family register via the DWAN, where a spreadsheet is accessible on the shared drive: G:\Jingle on a Sleigh. Registration is required before COB Dec.6th to determine the amount of food required for the event. Please come out and celebrate the holidays with your 22 Wing family! Please contact the MFRC at 705-494-2011 x2053 with questions or concerns.